Headset bought for grandson for Christmas - terrific sound quality, comfortable to wear and brilliant features. Great for PS4 at awesome price. Bought this online about at great price, less than store. My grandson wanted one with the headset and hands free mic and this fit the bill. Pretty good. I got them for cheaper online and picked them up at the store. Not as loud as the more expensive turtle beaches but pretty good for the price. Great quality product. Works well. My son loves these, they work great for Xbox, his phone and the iPad. The sound is pretty good and the removable mic is a plus. You wouldn't want to wear these in public but for what he uses them for they're a big improvement over ear buds. They don't seem very sturdy but for the price they're about what I expected. these headphones work great with xbox one with the 3.5 mm port on the controller, all you do is plug them in and they work. My bro asked me gor them. He had a pair before, but wanted another one. Must be good if you want two of the same product. this headset was great for the price. I would definitely order them again. And, my son loved the color!! can i use it on both ps4 and xbox 1? 2. only if you constantly mess with it. If you&#39;re using it properly then no. 6. Yes, the headset works for both PS4 and Xbox One. Does this come wit the controller adapter? 1. No it doesn&#39;t! I wish I had known this when I bought them. 2. no, but if you have the new style controller with the 3.5 mm plug you don&#39;t need the adapter. 3. This model is compatible out-of-the-box with the Xbox One controller with the 3.5mm jack. 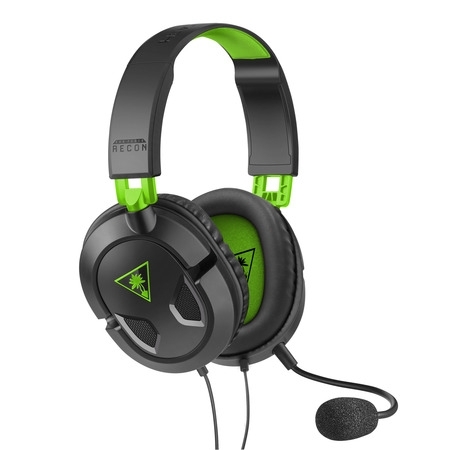 Do these have both game sound and chat sound? 1. Yes, this has both chat and sound. 3. No, these are wireless and don&#39;t plug into the the console like on the 360. Instead, they only plug into the Xbox one controller.